In our busy worlds, sleep often eludes us. Aside from rocking to gentle slumber in a hammock under a palm tree, there are a few other ways to drift to the land of nod. We asked around Papaya HQ for quick fixes to overhaul your sleep routine, when banning the blue light of phones, tablets and TV screens won’t cut it. So take a deep breath, and relax. 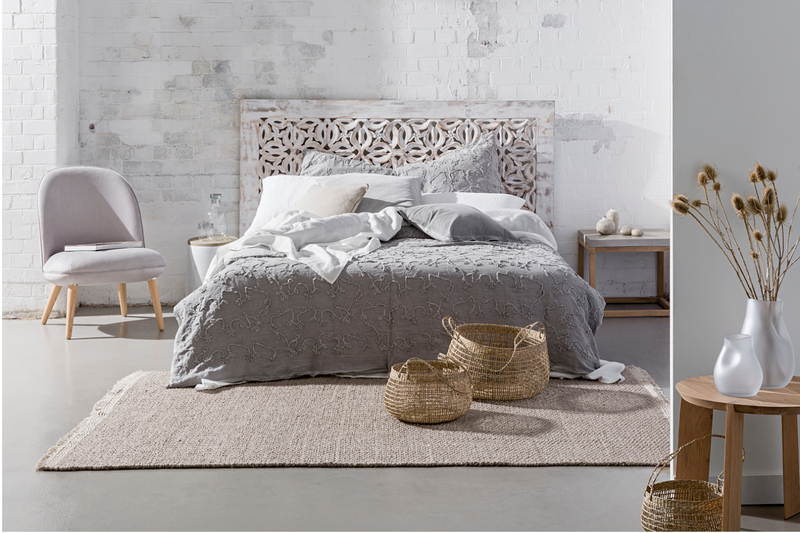 There’s a reason 100% linen is chosen time and again for a good night’s rest. Breathable and anti-allergenic, this is our go-to fabric to cosy up to each evening. Instantly transport yourself to another world with the written word. Bibliotherapy is a highly recommended therapy to calm a troubled mind. If it’s hard to quieten the whirring windmill of thoughts before you sleep, why not note them down. Be it a list, mindmap, sketch or stream of consciousness, a notepad and pen are perfect bedside companions. The ambient glow and flicker of a flame provides a reassuring, innate sense of warmth. A scented candle soothes the soul before sleep. A traditional way to relax, from dried lavender to lavender oil, but actually planting some (in a pot inside if you don’t have a garden) is a great distraction. Your mind will thank you for it, as will the bees and butterflies. You know that feeling of exhaustion after being in the great outdoors? The wind has whipped your hair, the sun has touched your face or the sea has cleansed your soul. You don’t need to run a marathon to have the satisfaction of being outdoors-tired. Known as man’s best friend for good reasons. Surely a wagging tail and smiling face will make anyone relax, as will the repetitive patting of the softest fur to lull you off to sleep. Not a dog person? Any pet will do, or try downward dog. If you haven’t had endorphins racing from running with your pet, then a spot of yoga could do the trick.